On Saturday night I couldn’t be bothered cooking anything particularly time consuming, so I decided that a plateful of corn nachos covered in a rich beef chilli would do nicely for dinner. 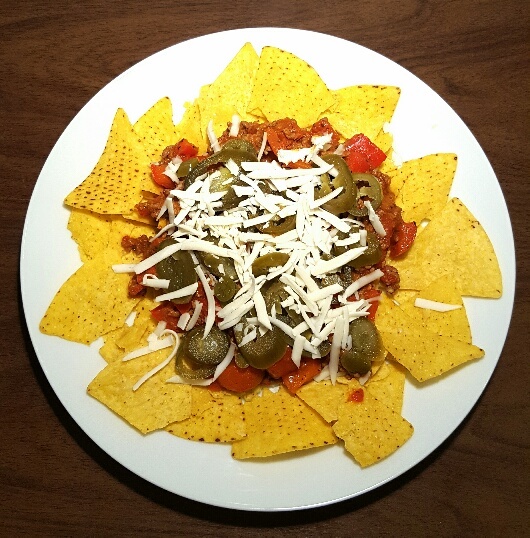 These nachos only took half an hour to make, but they resulted in a very satisfying and chilled out TV dinner. I’ve been following the low FODMAP diet and a couple of things that they strongly advise you to stay away from is onion and garlic because they’re renowned for irritating IBS. To begin with I found this very restrictive because onion and garlic are the base ingredients for so many dishes, but as time has went on I’m discovering that really, you don’t notice when they’re omitted from recipes. When I decided to make these beef nachos I found myself pausing before starting to cook them and asking myself whether they’d be any good without the usual addition of sliced onion and minced garlic, but upon tasting the beef chilli I can happily confirm that they weren’t missed at all. 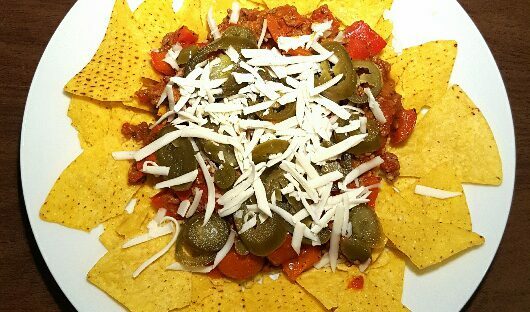 I served the beef chilli on top of a bed of crispy corn tortilla chips. 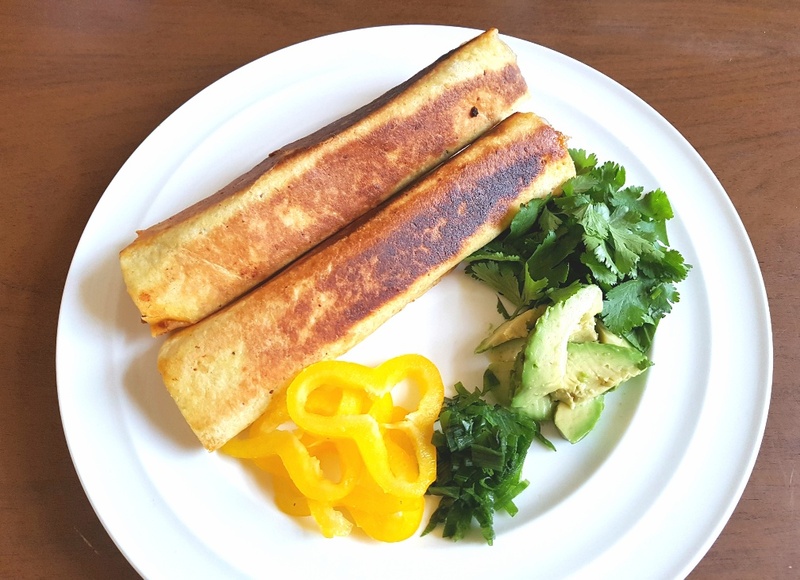 I used Morrison’s Savers lightly salted corn tortillas which, along with being very tasty, have the added benefits of being both gluten-free and cost only 46p a bag! I only wish I could have added a healthy dollop of guacamole to my nachos, but that’ll need to wait until I’ve finished my two month FODMAP elimination phase. For now the jalapeños and dairy-free cheese did very nicely. This simple, but tasty recipe for beef chilli nachos makes a generous plateful of crunchy salted tortilla chips that are covered in a rich, hearty and satisfying beef chilli. 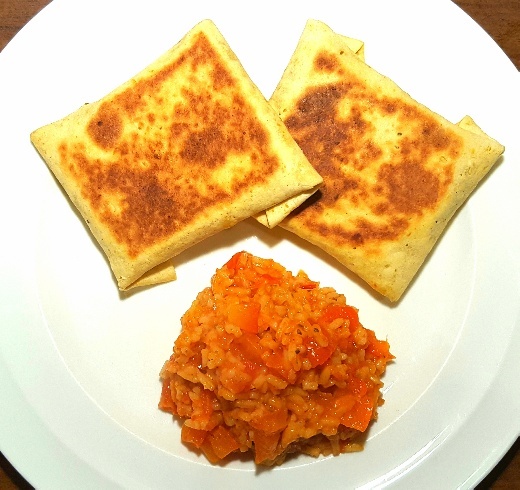 It’s a perfect meal for those evenings that require you to cook something that’s low fuss, but delicious. Possible toppings: jalapeños/guacamole/fresh chilli/fresh coriander/grated cheddar cheese etc. Cook your beef mince in a pan (I dry fried mine, but you could add a little oil if you wanted) and once it’s cooked add the red peppers, herbs, spices and tin of chopped tomatoes. Cook for ten minutes and then taste for seasoning. Add salt and pepper as you see fit, but remember that your tortillas chips are salted, so you might not need as much salt as you think. 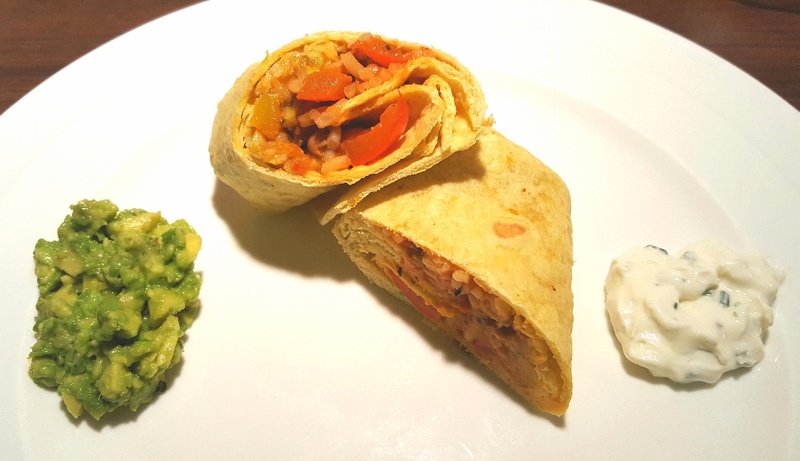 Put the tortilla chips on each plate and top with a generous helping of beef chilli. Add any additional toppings and serve.